HSH is providing the preliminary and final design services for the West Chatham Roadway Design Project. 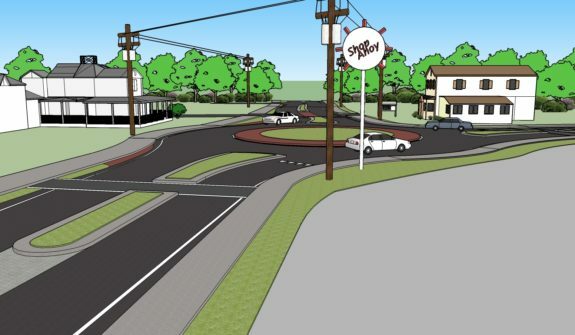 The project addresses Route 28 between Barn Hill Road and George Ryder Road and was previously stalled in the planning phase for several years due to lack of consensus among the community. HSH has been tasked to deliver the 100% design while simultaneously providing the necessary public outreach to move the project forward. HSH launched a public involvement process designed to give all members of the community a voice and to ease the tensions that had developed previously through a focus on transparency, common goals, and using hard data to drive decisions. A strong public involvement presence has been achieved in Chatham, through public information meetings, a dedicated project website, one-on-one “office hour” meetings with stakeholders, abutter meetings, and on-going email correspondence between interested residents and HSH’s public involvement specialist. Our Complete Streets plan was presented to the Town in November 2013, which involved a detailed alternatives analysis and comparison to project goals. 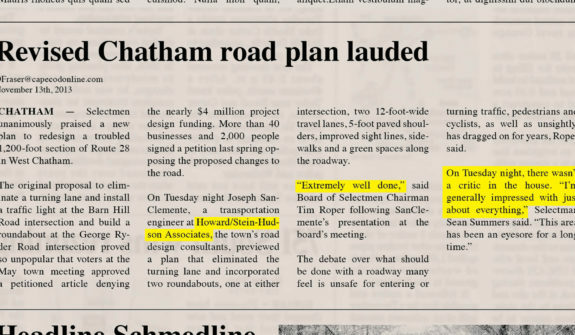 The design received praise from the Town of Chatham Selectmen and it was voted unanimously for the project to proceed into design. The project is scheduled to be advertised in Spring 2018. 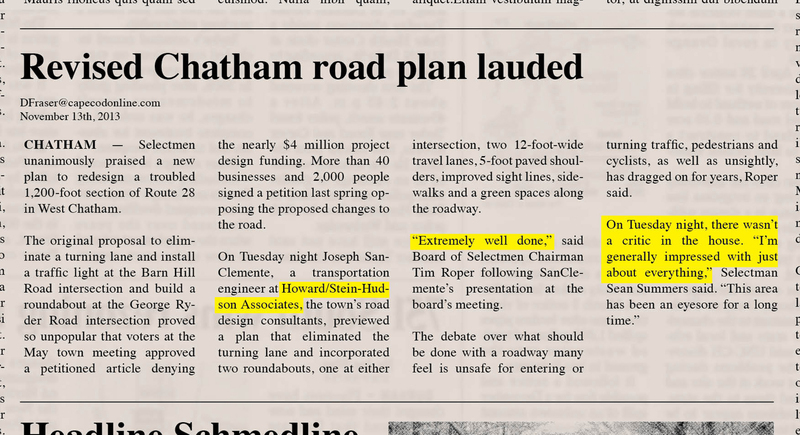 "I congratulate all at Howard Stein Hudson for presenting a plan that is logical, feasible and addresses long-time concerns over traffic management, safety, and more. Your calm and reasonable demeanor, attention to detail, and willingness to patiently answer many, many questions was masterful. I truly mean it when I say I look forward to working and collaborating with you in the days ahead."